Okay it’s been a while since I’ve been this excited about an eyeshadows but here it is - the Urban Decay Naked Reloaded palette. 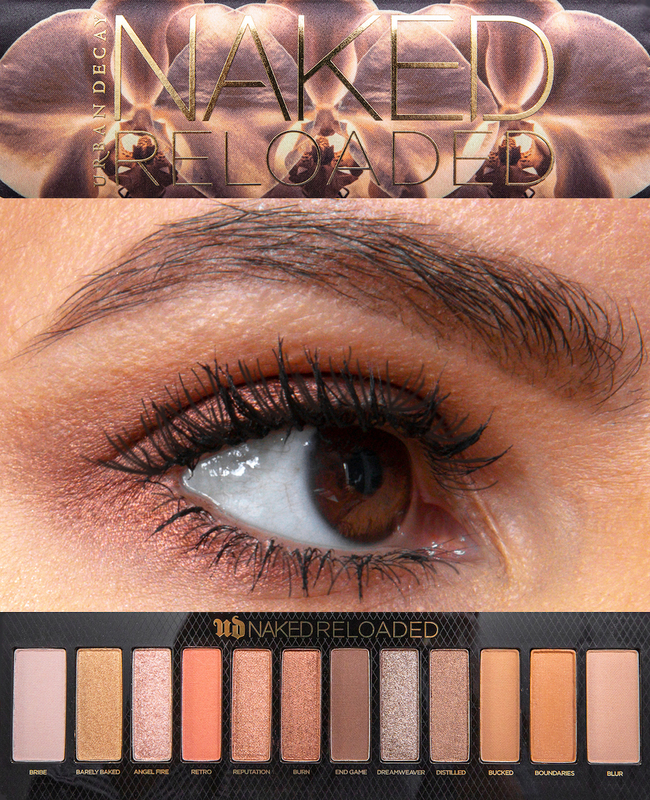 I have a lot of the Naked Palettes (thanks to the good people at UD who have kindly added me to their PR list) and they’re awesome staples for any makeup lover, but RELOADED is killer in EVERY SINGLE WAY! Jam packed with warm browns, yellows, and a touch of coral, these shades are awesome for everyday wear. There’s a good mix of matte’s shimmery shades and satins that work so well together it’s seamless. Inspired by Katie Jane Hughes Makeup, I decided to do a one colour smokey day time eye that I was brilliantly happy with. (Click here for the full technique.) I started by applying the shade burn to the outer corner of my eyes with a smudge brush and then just blended away until I got the effect I wanted. It was super easy, took no time at all and the overall look is super elegant and day time appropriate. This post contains affiliate links and PR samples. All opinions are my own.